I have returned from a short trip to paradise. 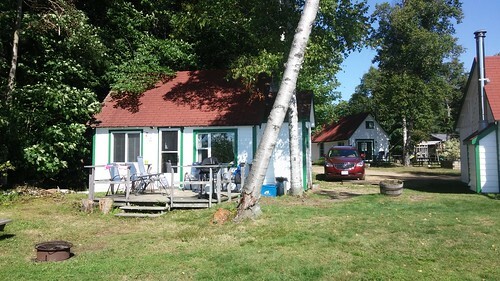 We rented cottage #7 from White Birches Cottage Resort and enjoyed hot and sunny days on Oxtongue Lake. 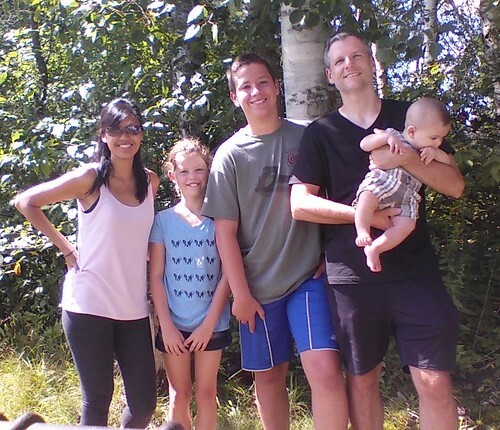 There was plenty of swimming, kayaking, canoeing and barbecuing and all five of us had a blast. That's right, this was sweet baby Jarvis's first trip anywhere and he handled it like a champ. 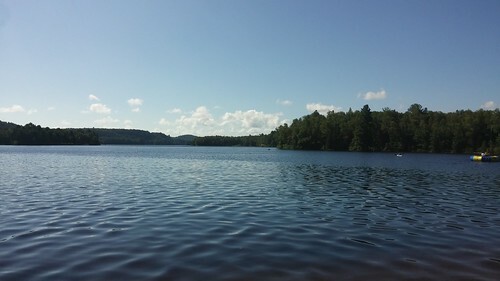 If you're looking to rent a cottage in Muskoka, I suggest you give Jenny at White Birches a call at 1-800-263-4794. She's not only a regular commenter here, she's also a swell lady who will take care of you. 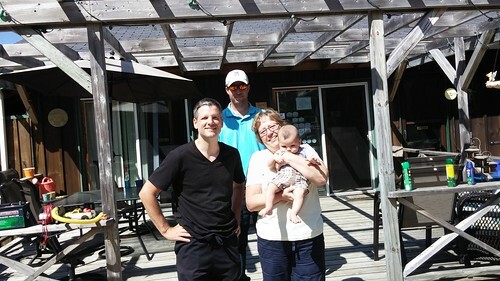 Here's Jarvis and me with her and her son Jason. Took the family up there for a week in July. Had a blast! Jenny and Jason were fantastic and it was a great way to relax and enjoy Algonquin Highlands. Hoping to get back there next year. It was lovely to meet the new addition to the family, along with seeing the rest of you again. Come back anytime. And Andrew---thanks to you and Kerri and the big guy too for visiting. It was great to meet you all and we hope you do come back again.